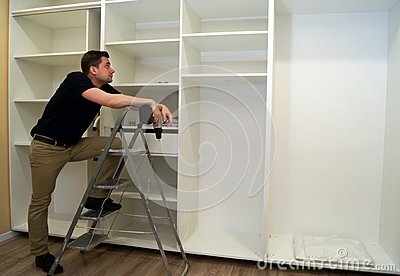 Worker looking at wardrobe. Cabinet assembly concept. A Worker looking at wardrobe. Cabinet assembly concept.